Being a small firm, we are very selective about the cases that we agree to handle. We do this so that my partner and I can give each case the necessary attention required. While there are other asbestos litigation firms that are larger, we know that in those firms your case will be handled by a less experienced associate rather than an attorney with decades of experience. Steve Harowitz has practicing for 34 years with 22 of those years being involved in the handling of asbestos matters. Stephen Tigerman has been practicing for 26 years with 24 of those years being involved in the handling of asbestos matters. You will be assured to have a partner working directly on your case from inception to conclusion. We are experienced trial lawyers who try cases when they cannot be fairly settled. We have the highest rating awarded law firms by a rating service known as Martindale Hubbell, namely an AV rating. Because we are very selective about cases we handle, we dedicate significant manpower to each of our cases. Each case is assigned a partner, a senior associate, a discovery associate, 2 paralegals, a secretary, and an investigator. Contrast us with a Texas firm who might sign you as a client, but will have to associate California counsel, who you may or may not have met, to actually handle the case here in California. We say that you may have met them, because we are regularly referred cases to handle by two large Texas firms. We are well respected by the plaintiffs’ bar and the defense bar, alike. As testament to this, we are regularly referred cases by defense lawyers. For many defendants, settlement value depends on the trial threat a particular plaintiffs’ firm represents. We are perceived as serious trial threats and get the highest settlement value among firms in the Bay Area. What is your success rate in getting a settlement/reward? We have had recoveries in all of our mesothelioma cases. Ninety plus percent of our cases settle in total and even when a case doesn’t settle in total, ninety plus percent of the defendants settle. Thus, even when we do go to trial, it is never an all or nothing situation, and typically the client will have a good sum of money in pocket at the time of trial, thus making the trial an almost all upside situation. What is the typical time for a case to be completed? Assuming our client lives through the trial date, a typical mesothelioma can get to trial in about 6-7 months. If it is a matter of how long it will take to obtain an initial settlement from a defendant, such can occur as early as a couple of months from filing of the complaint. If there is financial need, we can typically facilitate an early settlement with one or more of the defendants, but those defendants will usually want to settle for a lesser amount than might be obtained later. There are also bankruptcy claims that can be filed and resolved within the first couple of months following filing. Based upon your experience, what is the average total amount awarded to the plaintiff in a settlement? What is the low and high? This is very fact-dependent. It depends on factors such age of the plaintiff, number and ages of dependents, size of economic loss, nature and type of exposure, and the quality of the product identification. Exposures to certain products involve more remaining viable defendants than do others. The same is true for years of exposure. For example, exposures that occurred in the 1940’s are likely to have less solvent defendants remaining than exposures in the 1960’s or 1970’s. Assuming that the question is directed to settlements that we have achieved for our clients as against all defendants, the range of settlements in a mesothelioma case is from a low of $750,000 to a high of $18,000,000. What estimated dollar amount (range) is typically associated with “pain and suffering”? Bay Area juries are more generous than juries in most other venues. This is why we recommend filing in San Francisco or Oakland. Although there are some very high awards, which are usually reduced by post-trial motions, most awards range between 2-5 million dollars. Testimony – If you are able to appear at trial, such testimony typically is completed in a day or two. Deposition – For all major venues in California, these can take up to 20 hours and sometimes a little more. In instances where clients have been unable to withstand such long depositions, we have succeeded in getting protective orders to shorten the process. Meeting with attorneys (both mine and the defendants) – You will not be meeting with defense attorneys other than at your deposition. Aside from a continued intake process which will take 2-3 hours, and preparing for your deposition which will take 2 days, most of the time you will spend with us will take the form of relatively short telephone calls. Travel - With the exception of trial, if necessary, you will not need to travel at all. 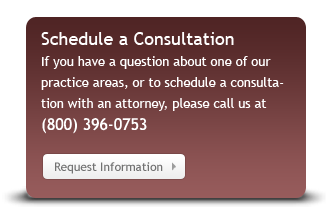 We will come to you for all needs, including your deposition. If you were to testify at trial, we will arrange transportation. From the time I choose someone to represent me, how much time typically passes before the “action” begins and ends? There is usually a 3-4 week delay before a case can be filed. This is because we need to some upfront initial investigation and because both San Francisco and Oakland have special rules which require a substantial amount of front end discovery. This means an extensive set of interrogatories needs to be completed at about the same time as the case is filed. Also, we typically want to have records and pathology ordered and on the way so that we can tell the court that the case is in a position to be advanced. As noted above, from the time of filing, it is usually about 6-7 months until the case is completed by settlement and/or trial. In some instances where one’s health is extremely compromised, the case can be completed in as little as 4 months. How much time is required during each segment? Most of the clients’ time will be spent on the front end helping us answer the major set of interrogatories, providing us with documents and at deposition. The answering of the interrogatories will probably take a matter of 5-10 hours. The deposition can take up to 20 hours which is usually broken up over the course of a week or two. After this, it is just a matter of having a couple of brief conversations a week with us to help us respond to motions, answer discovery, and do investigation. What is the stress level for me during each segment of the process? The stress level is generally low throughout, except for possibly the deposition. We work with our clients for several days to prepare them in advance so that they know what to expect and are comfortable with the process. What is the overall stress level that I could/will experience? Other than the stress of a long deposition (which the California courts generally allows as a matter of course), the stress level is pretty low. As your lawyers, we act as a buffer between you and the litigation and we are the ones who experience most of the stress in order that you experience as little as possible.